Congratulations to ALABAMA on winning another National Championship, Georgia for a great game, and to the SEC for another great season of championship football. BUT . . . now that that’s over, how about some great music, great songs, and a few stories? 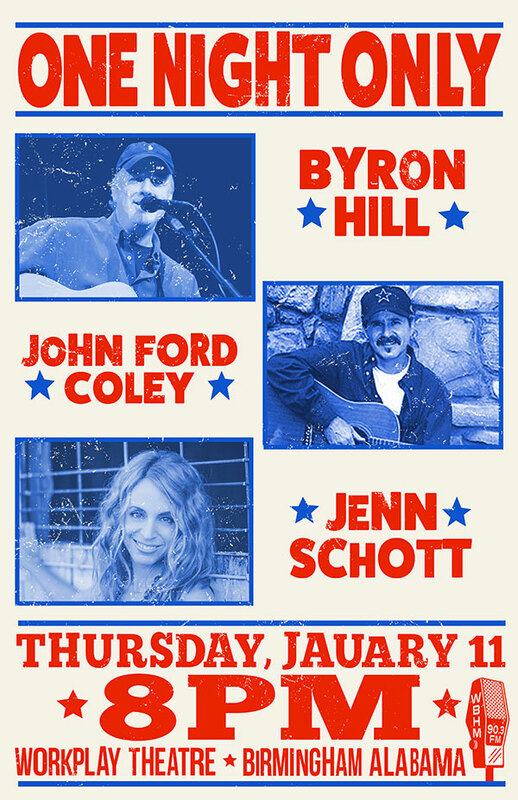 This Thursday, January 11, The Writer’s Share begins its 2018 season with three fantastic songwriters: John Ford Coley, Byron Hill and Jenn Schott.